Customers looking to purchase a life insurance policy often wonder whether it’s better to deal with an independent life insurance broker or a captive life insurance agent. Brokers are often said to offer greater flexibility to their customers when it comes to the price and brands of life insurance products because they’re independent and not tied to an insurance company. On the other side, brokers don’t have a deep understanding of the products they’re offering because they are independent. Brokers also have limited back office support depending on if the broker has a lack of connections. Captive agents are often said to have a better understanding of the product they’re offering because they’re actually tied to the insurance company that is selling the product. Because of this relationship, captive agents also provide better back office support. Some cons for the captive agents are that they might pressure customers into buying certain products in order to fill a quota and that they offer uncompetitive pricing due to their limited selection of products. While these arguments presented above can be right for the most part, they’re not completely accurate. In today’s industry, the line between independent brokers and captive agents has become much more blurred. Facts that once only applied to independent brokers can now be applied to captive agents and vice-versa. Let’s clear up some common misconceptions about both these groups. Contrary to popular belief, neither independent brokers nor captive agents are more qualified than the other when it comes to dealing with life insurance products. In Ontario, there is only one type of life insurance intermediary license known as a “life insurance agent license”. The licensing requirements and qualifications needed to obtain this license are the exact same for both independent brokers and captive agents. So, at the end of the day, both independent brokers and captive agents have the same legal qualifications required to operate in the industry. An independent broker does not always have a wide variety of life insurance products available to their customers. While these brokers are not tied to a single company, many of them still work with only a few companies. This could make their selection of life insurance products limited. 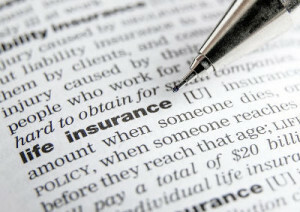 Similarly, a captive agent does not always have a limited selection of insurance products. Some captive agents have stipulations in their contracts that allow them to sell products belonging to multiple companies. When dealing with either a broker or a captive agent, always ask about their selection of life insurance products. It’s a mistake to simply assume that an independent insurance broker doesn’t have any back office support because they’re not professionally tied to an insurance company. In today’s life insurance industry, there are plenty of services that provide brokers with quality continuing education, subscription to the top financial and life insurance tools on the market and access to financial and tax specialists. While some captive agents have great back office support, there are others who work out of a basic office without having a lot of support or resources available to them. So, it’s important to never generalize and assume that the broker or agent that you’re talking to has great or little back office support simply based on their role. At the end of the day, neither an independent broker nor a captive agent is legally required to meet the “best interests of the client” benchmark during their dealings with you. They’re only required to meet the “client suitability” benchmark when offering life insurance products. Just because a product being pitched by a broker or an agent is deemed “suitable” for you, it does not mean that it is in your best interest to purchase it. Always do your research and don’t be afraid to ask questions in order to make sure that you’re getting the best deal. When dealing with either an independent broker or a captive agent, make sure that they have a good track record and are knowledgeable about the products that they’re offering. In the digital age, it’s fairly simple to look up an agent’s history in the industry and find reviews online. If a broker or a captive agent presents you with an insurance policy that they recommend you should purchase, ask them to provide a full and edited market survey along with their reasoning explaining that the life insurance policy they’re pushing makes sense for you and family. Finally, let’s end off with some basic tips to follow whenever you’re close to signing a standart life insurance contract. First of all, always demand a physical copy of the contract and read through it yourself. Ask for clarification of any part that you don’t understand. Once you’re done filling out an application, ask to retain a copy of it for future reference. Lastly, don’t just take your agent’s word that you’re covered for a certain life insurance policy. Verify that information yourself. Always make sure that you’re not only approved to pay the premium on your life insurance policy, but are also approved to file a claim on the policy should you need to.